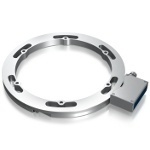 From 15 th to 18 th September 2015 the Husum Wind 2015 will take place: the LEINE LINDE SYSTEMS will present the first time the new GSR slip ring, a generator slip ring for various double-fed asynchronous. At this year’s at WindEnergy trade fair in its home town of Hamburg, LEINE LINDE SYSTEMS is presenting a standard-setting high-efficiency ice detection system for wind turbines for the first time. LEINE LINDE SYSTEMS is presenting the new ADSR, the first slip ring with a diagnostic system for analyzing condition and predicting remaining service life. The new product will be presented in detail at EWEA 2014 in Barcelona from March 10 to 13, 2014. 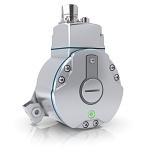 Encoders with integrated diagnostics system. The new ADS Online entails diagnostics in real-time, wherever you may be. The new system will be presented at 22-24 November at the international SPS/IPS/Drives convention in Nuremberg, Germany.